"Prohibition of the performance of any activity in connection with the cultivation and possession of cannabis by an adult in private for his or her personal consumption in private is inconsistent with the right to privacy entrenched in the Constitution and is constitutionally invalid". The Constitutional Court of South Africa has declared that penalizing possession, use and cultivation of cannabis for personal consumption in private is unconstitutional as it infringes an individual's right to privacy. This significant ruling was delivered by a ten judges bench of the Constitutional Court while considering confirmation of the judgment of the Western Cape Division of High Court, which had earlier struck down the penal provisions. It is pertinent to note that right to privacy is specifically guaranteed as a fundamental right as per Section 14 of the South African Constitution. Involved in the case was the validity of sections 4(b) and 5(b) of the Drugs and Drug Trafficking Act 140 of 1992 (Drugs Act) and sections 22A(9)(a)(i) and 22A(10) of the Medicines and Related Substances Control Act 101 of 1965 (Medicines Act). Section 4(b) of the Drugs Act prohibited use or possession of any dangerous dependence-producing substance or any undesirable dependence-producing substance. Section 5(b) prohibited dealing in any dangerous dependence–producing substance or any undesirable dependence-producing substance. Cultivation of cannabis is treated as 'dealing in' it, as per the definition clause of the Act. Likewise, Section 22A(9)(a)(i) of the Medicines Act prohibited use and possession of scheduled drugs, which included cannabis. The conduct prohibited by section 22A(10) is the sale or administration of any “scheduled substance or medicine” for any purpose other than medicinal purposes. The High Court struck down the above sections as a disproportionate and unjustified interference in right to privacy. The High Court observed that "privacy concerns dictate dictate and our constitution recognises that there should be an area of autonomy that precludes outside intervention". "The evidence, read as a whole, cannot be taken to justify the use of criminal law for the personal consumption of cannabis. The present prohibition contained in the impugned legislation does not employ the least restrictive means to deal with a social and health problem for which there are now a number of less restrictive options supported by a significant body of expertise. The additional resources that may be unlocked for use of policing of serious crimes cannot be over emphasised", said the High Court. As per provisions of the South African Constitution, a judgment of the High Court invalidating any statutory provision needs to be confirmed by the Constitutional Court to be operative. Thus, the proceedings reached the Constitutional Court. Also, the State filed appeal against the High Court judgment. The applicants too filed cross-appeals against the High Court judgment, to the extent it restricted the scope of exclusion only to use and cultivation of cannabis in one's private dwelling. The Constitutional Court examined the issue in the light of right to privacy, as enshrined in Section 14, and also Section 36 of the Constitution, which listed factors to be taken into account factors be taken into account in determining whether the limitation of a right entrenched in the Bill of Rights is reasonable and justifiable. These factors, built on the proportinality principle are :- a) nature of right (b) the importance of the purpose of the limitation;(c) the nature and extent of the limitation; (d) the relation between the limitation and its purpose; and (e) less restrictive means to achieve the purpose. At the outset, the Constitutional Court held that the penal provisions limited the right to privacy. The next step for the Court was to examine whether the limitation was reasonable and justified as per Section 36. 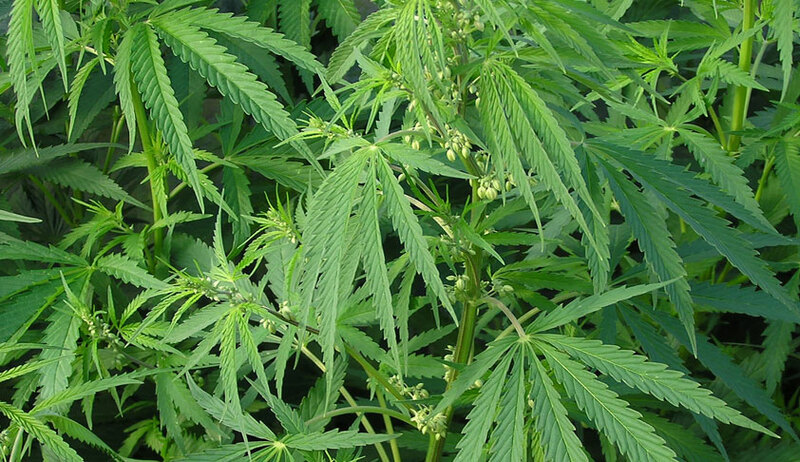 The Constitutional Court agreed with the High Court in saying that the "prohibition of the performance of any activity in connection with the cultivation and possession of cannabis by an adult in private for his or her personal consumption in private is inconsistent with the right to privacy entrenched in the Constitution and is constitutionally invalid". However, the Constitutional Court differed with the part of High Court judgment which decriminalized purchase of cannabis. The Constitutional Court stated : A purchaser of cannabis would be purchasing it from a dealer in cannabis. Therefore, if this Court were to confirm the order declaring invalid provisions that prohibit the purchase of cannabis,it would, in effect, be sanctioning dealing in cannabis. This the Court cannot do. Dealing in cannabis is a serious problem in this country and the prohibition of dealing in cannabis is a justifiable limitation of the right to privacy. The Constitutional Court also overruled the restrictive meaning given by the High Court to private space so as to cover only one's private dwelling. It was held that as long as the use or possession of cannabis is in private and not in public and the use or possession of cannabis is for the personal consumption of an adult, it is protected. (a) an adult person may, use or be in possession of cannabis in private for his or her personal consumption in private. (b) the use, including smoking, of cannabis in public or in the presence of children or in the presence of non-consenting adult persons is not permitted. (c) the use or possession of cannabis in private other than by an adult for his or her personal consumption is not permitted. The operation of the judgment has been stayed for a period of 24 months to enable the Parliament to bring in appropriate legislative amendments. However, in the meanwhile, no penal action should be taken against anyone for private use and cultivation of marijuana. The Court acknowledged that there will be practical problems in ascertaining whether possession and cultivation was for personal use or not, and hence recommended the Parliament to specify permissible quantity on the basis of objective criteria. The judgment also appended a list of about 33 jurisdictions all over the world where marijuana has been legalized. The High Court judgment had noted that criminalisation of cannabis is characterised by "the racist footprints of a disgraceful past". The High Court referred to the fact that much of the history of cannabis use in the country “is replete with racism”. The Court observed that it was general knowledge that some sections of the Black population have been accustomed for hundreds of years to the use of dagga(cannabis), both as an intoxicant and in the belief that it has medicinal properties, and do not regard it with the same moral repugnance as do other sections of the population. The long-standing indulgence in the use of the substance by a group of which an accused person belongs should be a mitigating circumstance while sentencing one under the drug laws, the High Court observed.